New Delhi : The social media world receives a new development. As promised, Instagram is all set to offer the super cool group video chat service to its users. 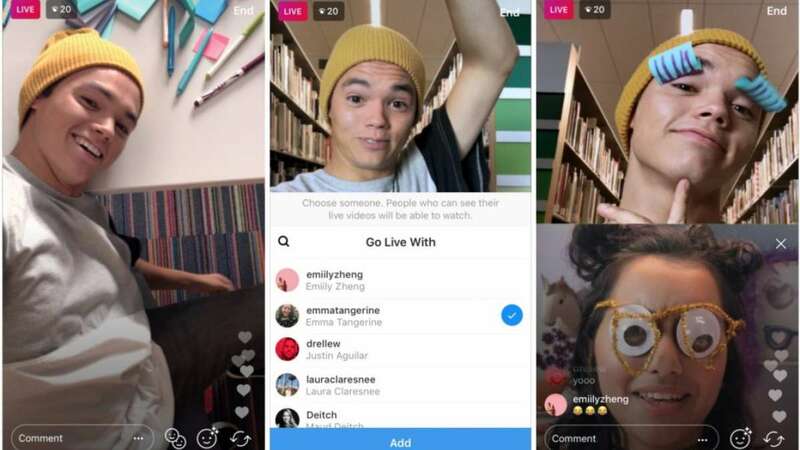 The Facebook’s F8 conference held last month heard that Instagram has received an update with a group video calling feature. Instagram will let you chat with up to three more friends at the same time. Users can minimize the video screens to a thumbnail if he/she wants to continue browsing the Internet. However, it might work a little slow while initially connecting and starting up video streams. With Instagram group chatting feature, you can only call people you’re connected to, i.e. you follow them and they follow you back. The process assures privacy while communicating with known person. Also, one can mute video chats if he/she is not interested, by toggling the option in the details screen for any conversation he/she is a part of. So, if you want to start group video calling in Instagram, you’ll need to head to your inbox in the app, open up a conversation, and then click on the camera button at the top right of the screen. You can also join ongoing calls, which you can identify in your conversation by the blue camera icon. While the feature is unique and interesting, the only limitation lies in the number of four people at a time. If your group is larger than the feature will not work. You still have to depend on the traditional mode of calling everyone. Instagram’s new group video calling functionality is available now on Android and iOS. All you have to do is to upgrade the previous one with the latest version.